Breeders of purebred cattle are truly making an investment in becoming seed stock producers for the beef cattle industry. As such, it is very important cattle breeders in this segment of the industry identify closely with their breed’s association to help shape the direction of their breed and to be aware of current developments. The obvious, immediate reason for membership is to receive membership benefits. Members receive services and are able to participate in MHA events that non-members do not; in addition to being able to vote. association issues and nominate and elect directors. 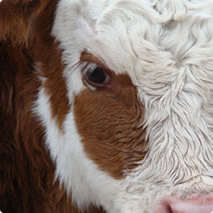 If you are not already a member of the Montana Hereford Association, download a membership application below, or contact the MHA Secretary at 406-322-8541 if you have additional questions. When you have completed the application, send it with the proper fee to the Association. Membership runs on the calendar year. We will be hosting a two day tour in south central Montana centered in the Bull Stud Capital of the World, Billings, MT. Please check in for updates. If you have any questions please contact Chad Murnin at barstarcattle@hotmail.com or 406-399-7811. The Annual meeting will be held in Three Forks, MT on Tuesday November 13th. Please check back for information on the 2018 annual meeting. The 2018 Feeder Calf Sale will be held in Three Forks, MT on Wednesday the 14th of November.